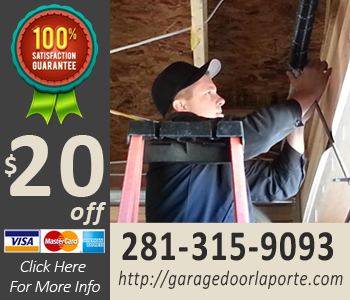 If you live in La Porte, Texas, and your garage door is out of order, hire the experts of Garage Door La Porte. 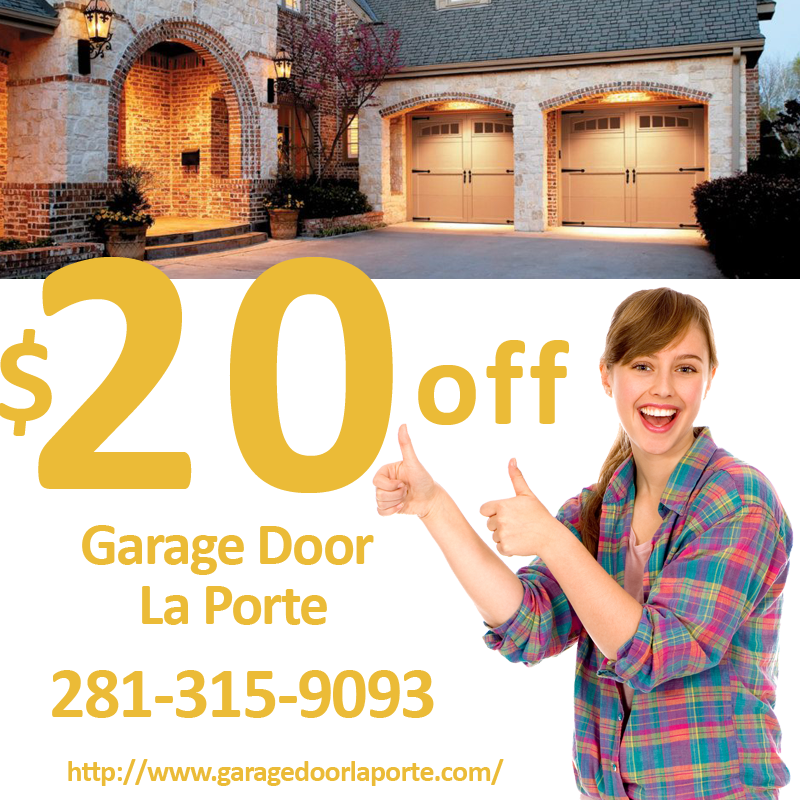 We are your go-to La Porte garage door experts! CALL US NOW!  281-315-9093- a mobile technician will arrive shortly! Our mobile staff technicians at Garage Door La Porte are thoroughly trained, field-tested, and certified. Each of us drives a fully stocked truck in order to easily and professionally address you garage door issues in one visit. When you get sick and tired of struggling with your on-the-blink garage door, La Porte garage door experts at Garage Door La Porte are always ready to help you! Before working, we give you a written total estimate. When the job's done, we'll make sure of your complete satisfaction. We back all work with a full warranty.